This event will allow for the organisations to develop their network of key influencers and decision-makers in the shipping sector; promote the BVI advantage for ship registration; and promote the BVI as a yachting location and destination spot. Acting Director of the Virgin Islands Shipping Registry (VISR), Captain Raman Bala and Acting Registrar, Mr. Ronald Donovan, will be representing the Virgin Islands Shipping Registry at the five-day event in an effort to help generate further exposure for the Territory’s maritime and yachting industry. As part of their engagement, the team will network with customers and obtain feedback on what is expected from a shipping registry. The feedback is expected to be used to help guide the department in being more responsive to the needs of its customers. BVI Finance will be also be partnering with the Shipping Registry and the BVI Tourist Board and is an exhibitor at this year's boat show. 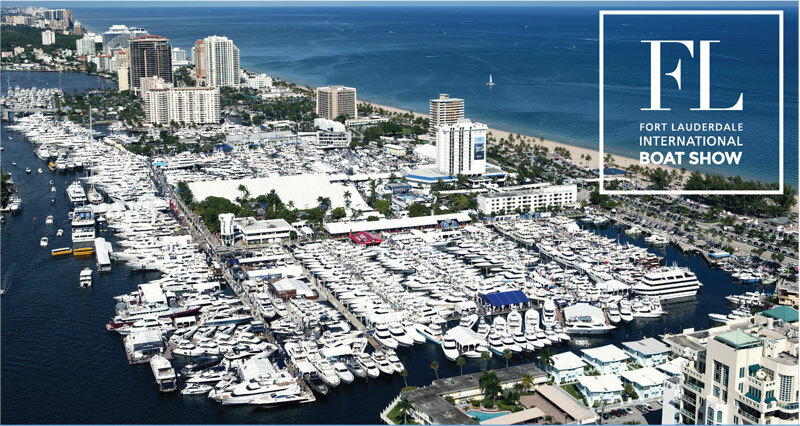 The Fort Lauderdale International Boat Show exhibits a vast array of the industry’s latest boats and yachts of all sizes, worldwide debuts, plus a medley of marine products and accessories to enhance the nautical lifestyle. A wide variety of boats will be on display including runabouts, sport-fishers, high performance boats, centre consoles, canoes, and extraordinary super yachts. The Virgin Islands Shipping Registry seeks to ensure that Virgin Islands ships can safely, securely and efficiently enjoy the freedom of the seas and the Department also supports an effective and vigorous Maritime Administration.